I love to hear from my readers and do my best to respond personally. You can contact me at piecesbypolly@gmail.com. Hello and welcome to my little home in the blogging world! My blog was originally titled Helping Little Hands, but I was never really happy with the name. Pieces by Polly just seems to fit better. This is where I share little pieces of my sewing, quilting, art, and life in general. I'm a thirty-something stay-at-home mom to four kids and wife to my high-school teaching husband. We live among amazing people in a tiny town in central Washington farm country. My degree is in chemistry and math secondary education, and my husband has a PhD in chemistry, so occasionally our love of science and math pops out in surprising ways on my blog. Our oldest two children are adopted in open adoptions, and then we were blessed to get pregnant with our third and fourth. As of Summer 2016 our kids are 11, 9 , 7, and 4. Their pictures appear on this blog a lot more often than mine does because I'm always the one behind the camera. In 2013 I decided to try a experiment with opening an online Etsy shop...Pieces by Polly. It's been much more successful than I ever anticipated, and I opened a separate shop for my quilts at Pieces by Polly Quilts on Etsy. 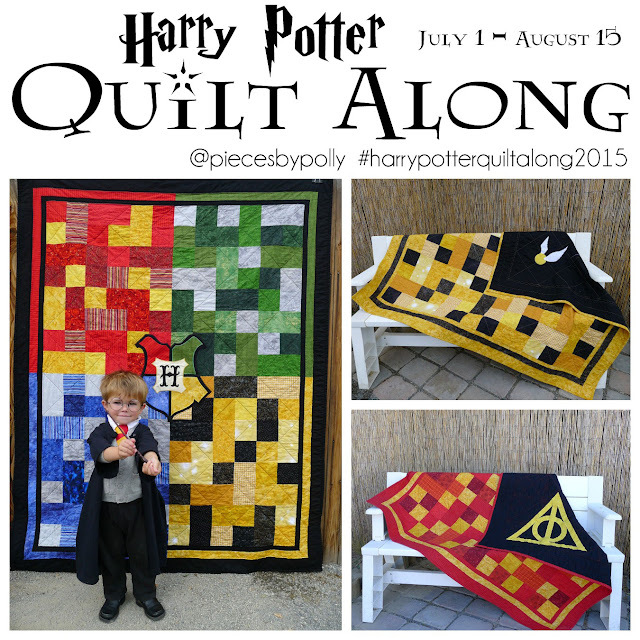 I love selling quilts and Harry Potter inspired fan items as well as custom creations for my blog readers. The longer I've been blogging, the more I've hit upon some major themes that have become especially popular. 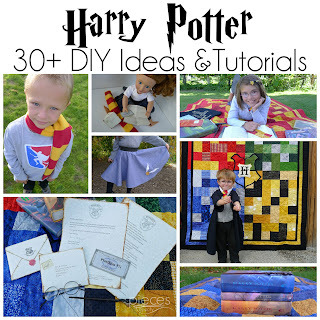 These include quilts and quilt patterns, felt food tutorials, children's book inspired activities, upcycling and making kids clothing (Hand-Me-Down-Rehab), Harry Potter Inspired and much, much more. You'll also find other sewing, upcycling, art projects, kid's projects, pre-school ideas, children's book inspired activities, gift ideas, LDS and faith related projects, and tutorials! What to see some of my all-time favorite projects and themes on my blog? You might enjoy this post. And if you'd like to know more about the names and pseudonyms I use now and have used in the past, you might like this introduction to my family.